Printed 2 3⁄16“ x 3 3⁄8“ Card Prayer Card. Pouch and Rosary Ring $2.95 ea. 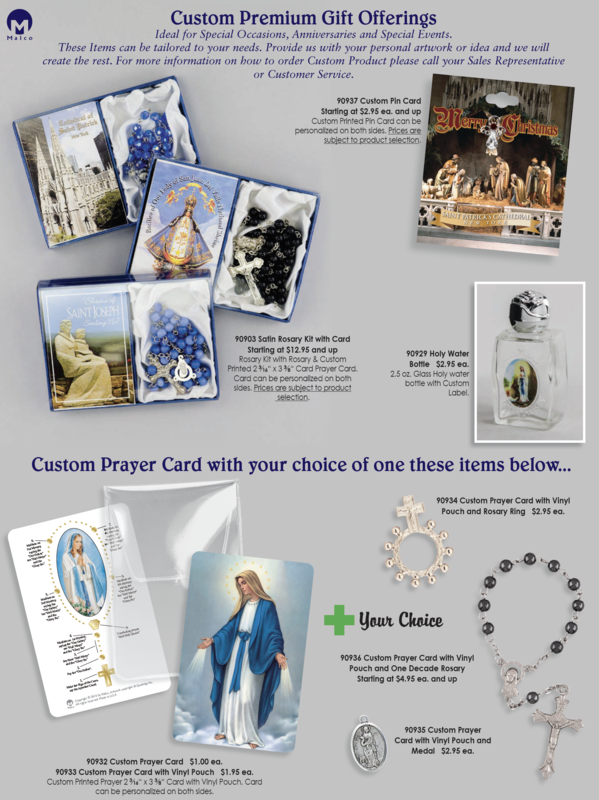 ORDER HERE - ORDER INFORMATION 90932 Custom Prayer Card $1.00 ea. 90933 Custom Prayer Card with Vinyl Pouch $1.95 ea. can be personalized on both sides.